A couple weeks ago, I scripted the all-new epilogue for The Big Snow Job. Looks like it will be 6 pages, of which I now have the first 3 penciled. I plan to pencil the other 3 and ink all 6 this week. Hopefully, by the end of next week, it will all be colored and lettered. Runners: The Big Snow Job just got a great review on Ain’t It Cool News! I’ve been sending preview copies of the story out to review sites with the intention of including some pull quotes in the printed volume, and this review was just posted. Check it out! 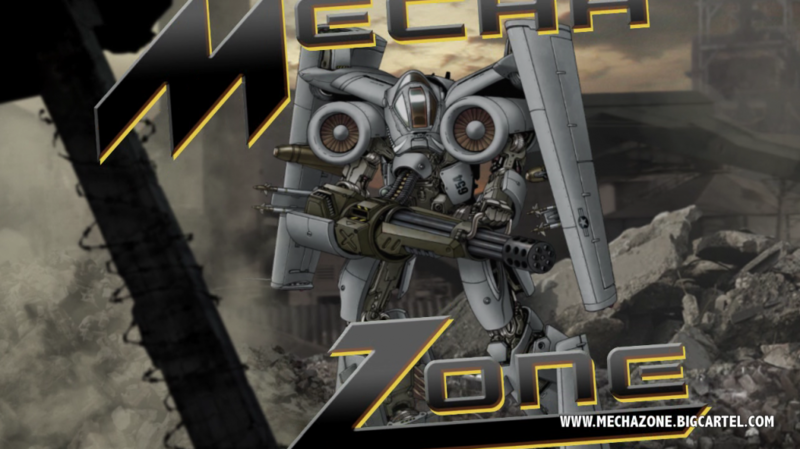 My friend David White is an awesome artist who specializes in mecha art (AKA big robots). He put out two artbooks over the last couple years and they are fantastic! If you like robots or just cool technical artwork in general, check out the video link, which features cool, transforming robot animations. And then buy the books, which are chockful of great illustrations and even include drawing tips and tutorials!